Yet another instance has come to light suggesting the Government of India isn’t keen on sharing information on black money. The Ministry of Finance has lately refused to part with official information on action taken following former Geneva-based HSBC Bank employee and whistleblower Herve Falciani’s leaked information on account holders who had stashed away black money in the bank. A Right to Information (RTI) plea by senior activist of New Delhi-based advocacy group, Commonwealth Human Rights Initiative (CHRI), Venkatesh Nayak, had sought information, more than a month ago, copy of the letter reportedly written by Falciani to the Chairman, Special Investigation Team (SIT), constituted following a Supreme Court order of 2011, and its responses sent by the SIT. The RTI plea also sought copies of file notings of SIT, and also documents that contain details of action taken by SIT in pursuant to the letter of Falciani. 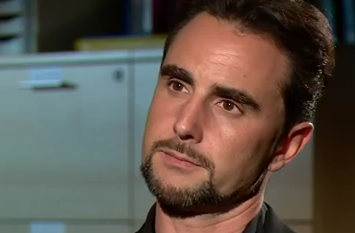 More recently, Falciani wrote to Prime Minister Narendra Modi and chairperson, Special Investigation Team (SIT), constituted in May 2014 to investigate unaccounted money stashed abroad. While the RTI application was addressed to the Black Money SIT, attached with the Ministry of Finance, Nayak, ironically, received a reply from the Income Tax Department under the Central Board of Direct Taxes (CBDT). The latter rejected the application, especially citing “fiduciary relationship” provision of the RTI Act’s Section 8(1). He quotes the Apex Court as saying, “It had long since come to our attention that the Public Information Officers (PIO) under the guise of one of the exceptions given under Section 8 of RTI Act, have evaded the general public from getting their hands on the rightful information that they are entitled to." Significantly, Nayak says, the ruling runs count to the Prime Minister’s address, in October 2015, to commemorate the 10th anniversary of the implementation of the RTI Act, where he said that citizens should not only have the right to get copies of documents but also ask question and demand accountability from public authorities, because the right to ask questions is the very foundation of democracy and it will reinforce their faith in democracy. “Many PIOs seem to think otherwise thereby making a mockery of this promise. The black money issue is one of immense public interest as it links inextricably with the businessmen-criminal-politician-bureaucrat nexus, corruption, tax evasion, money laundering, round tripping and pure and plain criminality”, Nayak says. How to conquer Corruption ? This will form a " NETWORK OF CURRENCY NOTES ( NoC ) "
You may like to call this Internet of Currency ( IoC ) , a sub-set of IoT ! This IP address should be linked with the unique Serial Number printed on each note. this idea to Rs 100 currency notes ! * No one would want to make any " Cash Deal " . All payments will become official only ! * Plastic currency notes will last 10 times longer ! within 1 Sq Meter ! Of course , visible only to IT officers ; not to general public ! On each balloon , will appear a number announcing , " Amount of Cash here - Rs " ! Implementation of this suggestion , does NOT require passing of any BILL in Lok Sabha or being held to ransom in Rajya Sabha ! But if Chinese President Xi Jinping comes to know about the practicality of this suggestion , he might implement it in 6 months ! Simple ! Xi Jinping has the political will ! And no historical baggage !